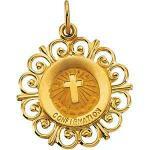 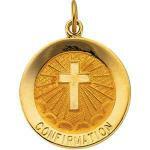 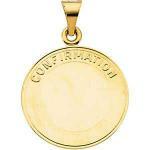 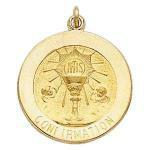 Confirmation Medals in 14K gold and sterling silver. 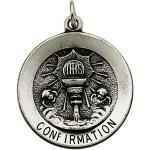 Each silver confirmation medal includes a sterling silver curb chain. 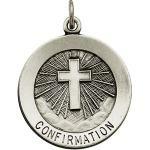 Confirmation is sacrament in which the Holy Spirit is given to those already baptized.